Facial injuries occur all too often in the Tampa area. Tampa Little Leaguers get hit by inside pitches, Florida construction workers suffer falls and other accidents at the worksite, and Florida motorists sustain injuries in collisions every single day. Accidents at home can also result in serious injury to the face. Serious facial injuries can affect the victim’s ability to eat, breathe, and speak. Because of the essential physical processes at risk, a person who has suffered a facial injury should receive medical care as soon as possible. Injuries to the mouth are treated by general dentists and oral and maxillofacial surgeons. At Five Star Dental Care, we strongly advocate the use of protective equipment for every type of sport, whether it is a team sport or individual activity. 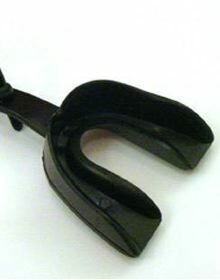 Call your Tampa dentist at 813-653-2273 for mouthguard recommendations regarding your (or your child’s) specific sport. Likewise, the Tampa workplace injury rate can be reduced with increased use of appropriate protective equipment and adherence to safety procedures. With respect to motor vehicle injuries, the following instructions bear repetition: Wear your seatbelt and don’t send or read text messages while driving! If you have suffered a recent injury to your face, mouth or jaw, schedule a cosmetic dental consultation with Dr. Jeff Bynum of Five Star Dental Care. If you are having dental problems (functional or aesthetic) due to an untreated past injury, I can also develop an effective treatment plan. My cosmetic dentistry office is located at 3203 Lithia Pinecrest Rd. in Valrico. This entry was posted on Thursday, January 27th, 2011 at 9:31 pm	and is filed under General Dentistry. You can follow any responses to this entry through the RSS 2.0 feed. Both comments and pings are currently closed.